Dehua County in central Fujian Province is known as one of the Three Porcelain Capitals in China, together with Jingdezhen in East China's Jiangxi Province and Liling in Central China's Hunan Province. Dehua porcelain dates back to the Song Dynasty (960-1279). Solid and smooth, Dehua porcelain is resistant to both heat and cold. 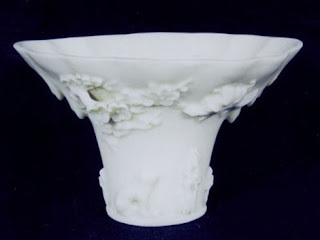 One type of "Jianbai" porcelain in particular has a sparkle and luster even more stunning than white jade, and its ivory-white color and superb workmanship make it a favorite of art lovers. 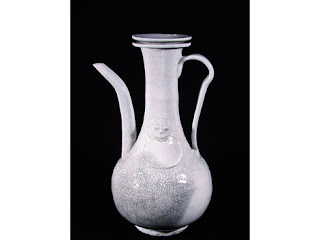 The body of its white porcelain was low in iron but high in potassium, while the color of the glazed surface was of a bright, smooth luster, as milky as frozen fat. It was thus often called "lard white" or "ivory white." Dehua white porcelain used to be one of the major export varieties in various dynasties. 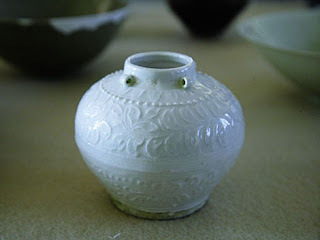 In the West it was called the "Chinese white porcelain" or "Marco Polo porcelain."